A visitor to the Harvard School of Public Health's mock safe injection setup checks out the items on the demonstration table set up underneath a tent on the quad near the medical school in Boston on April 30, 2018. "I'm not aware of any valid basis for the argument that you can engage in criminal activity as long as you do it in the presence of someone with a medical license," Rosenstein says. Some U.S. cities are trying to open up medically supervised sites where people can inject illegal drugs. The Trump administration is threatening prosecution. Bobby Allyn of member station WHYY has more. BOBBY ALLYN, BYLINE: On Tuesday, Deputy Attorney General Rod Rosenstein wrote an op-ed in The New York Times outlining the administration's opposition to so-called supervised injection sites. Rosenstein agreed to sit down with NPR. He says providing a place for people to inject illegal drugs is a crime. ROD ROSENSTEIN: I'm not aware of any valid basis for the argument that you can engage in criminal activity as long as you do it in the presence of somebody with a medical license. ALLYN: Rosenstein says supervised injection sites, where people bring their own drugs to use in a medical space, normalizes drug use. He says those addicted to opioids need treatment, not more places to use heroin and other illegal substances. ROSENSTEIN: This is not a disease that gets spread like the flu. People can only become addicted if they have access to these illegal drugs. And so if we can prevent that access, we can prevent an addiction. ALLYN: Most studies challenge Rosenstein's view. Academic research has shown that sites can drive down fatal overdoses, and advocates say they help move more people into treatment. And that's why at least a dozen cities want to open them. They point to the latest grim federal statistics. They show that more than 72,000 people died from drug overdoses last year. That's nearly 200 people a day. THOMAS FARLEY: In a crisis like this with as many people dying as we have, it's worth a try. ALLYN: That's Thomas Farley, the health commissioner for Philadelphia, one of the cities moving forward with supervised injection. FARLEY: Nobody likes the idea of watching people who are addicted just inject drugs. We want to get all those people into drug treatment, but we all have to recognize that despite all of our efforts, many people will not go into drug treatment. ALLYN: Farley worries that if the Justice Department's threats spread widely enough, people will be too scared to show up when the city's site does open. FARLEY: You know, if the message is clear that if you walk into this facility, you're going to be arrested, people wouldn't be using that. 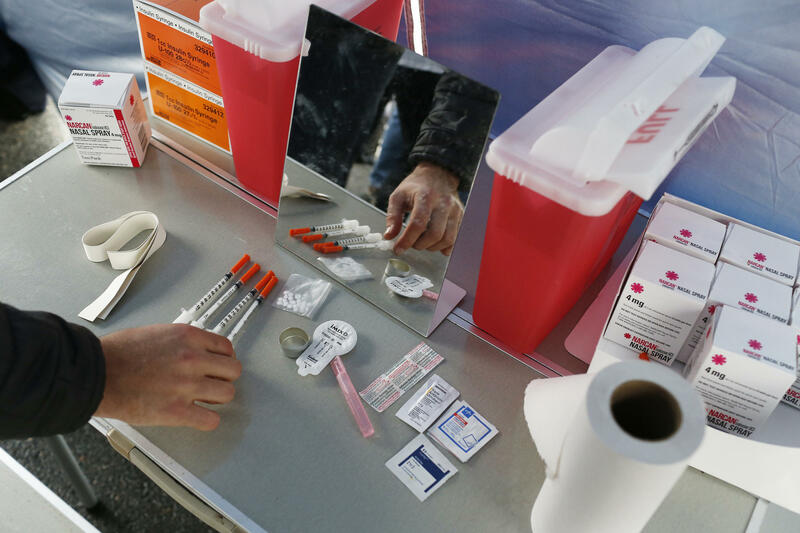 ALLYN: In California, lawmakers recently passed a bill awaiting the governor's approval that would advance a three-year supervised injection site pilot program. San Francisco Mayor London Breed says the Justice Department putting cities on notice shouldn't make them back down given the worsening overdose problem. LONDON BREED: I think that there's strength in numbers. And we are talking to other cities who want to consider this as an option. I mean, here in San Francisco and other cities like New York and Seattle, we are trying to address this crisis. ROSENSTEIN: Just because somebody tells you in San Francisco that San Francisco is not going to prosecute you for doing something, that does not make it legal. ALLYN: Deputy Attorney General Rod Rosenstein says the view from Washington is different. ROSENSTEIN: It remains illegal under federal law. And people who engage in that activity remain vulnerable to civil and criminal enforcement. ALLYN: Rosenstein says federal officials are watching every city with supervised injection site plans. He said asking a judge for an injunction is on the table. So is a criminal prosecution with decades of possible prison time. But city officials say they plan to move forward with their plans for supervised injection sites even if it means risking arrest. For NPR News, I'm Bobby Allyn in Philadelphia. Transcript provided by NPR, Copyright NPR.